Confession time…. up until yesterday morning I had never been on a Santander Cycle! Despite living in London almost 15 years and spending my life dashing from place to place I have just never got around to using London’s self-service bike-sharing scheme for short journeys, despite there being docking stations in so many convenient locations for me. 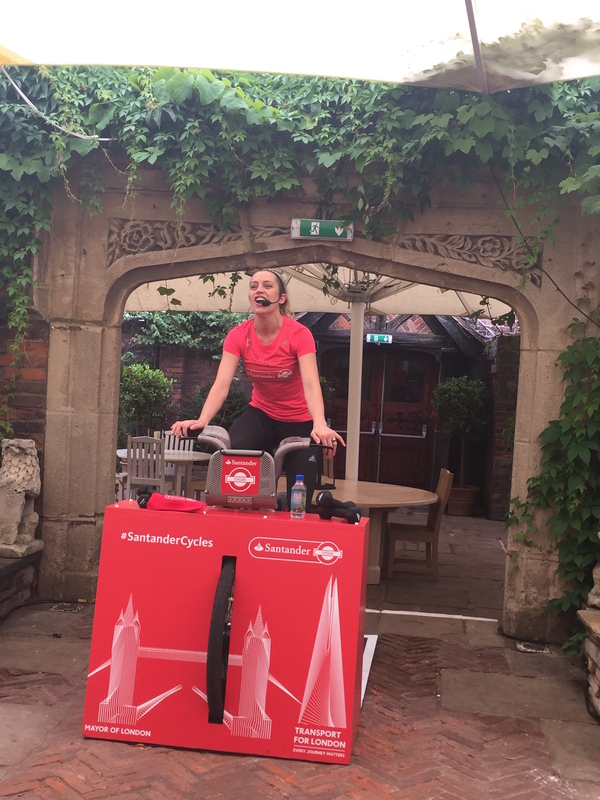 However, that all changed yesterday when #SantanderCycles invited me to head to one of my favourite London venues, the Kensington Roof Garden, to take part in a very special Boom Cycle class to show me exactly how Santander Cycles could help me unlock my City…. 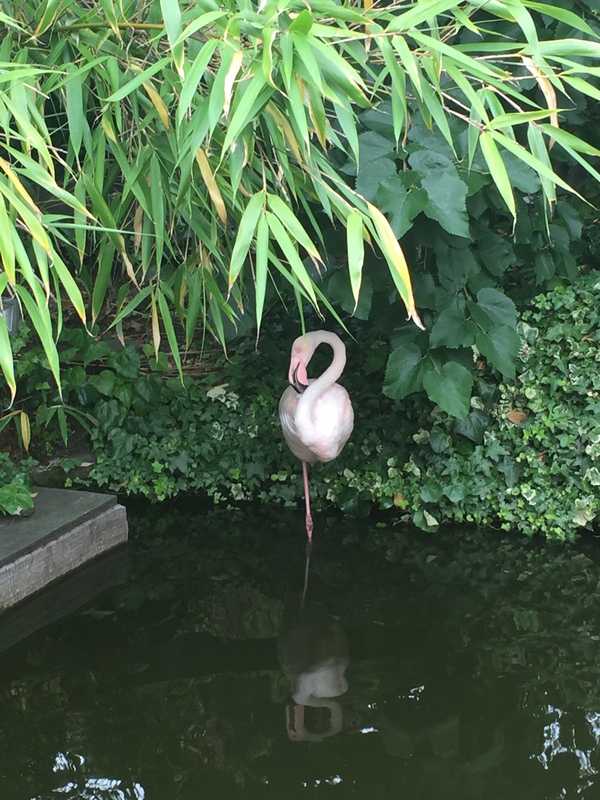 Having already held special Spin Up classes for the Summer in iconic London locations like Tower Bridge and the Shard, I knew this was going to be a spin class with a difference, and as we were lead out onto the stunning West London rooftop gardens (and even greeted with real life flamingoes!) I did start to wonder why I hadn’t hopped on a Santander bike to take me to incredible places like this before. 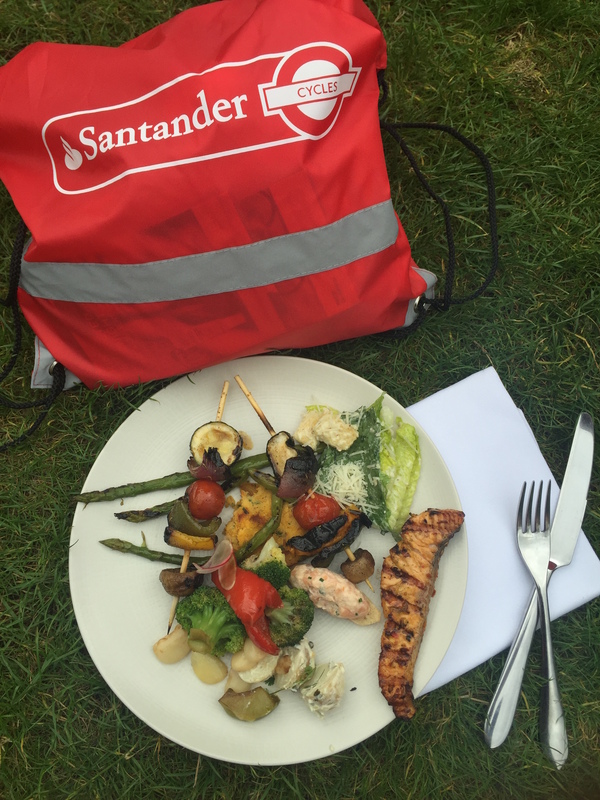 We were all given a Santander cycle of our own to ride on for the next 45 minutes, complete with hand weights and sweat towel (which came in extremely handy after the last sprint track!) and the incredible Hilary from Boom Cycle lead us through one of her signature cycle classes – the girl is a total #fitspo with the most amazing energy – I urge you to check out one of her workouts at Boom if you haven’t already. The open air, gorgeous surroundings and amazing company in the form of some of my fitness blogger favourites likes Twice the Health, Chessie King and The Fashion Fitness Foodie certainly made this a class to remember….. and whilst I probably didn’t work as hard as a regular spin class (luckily for most Londoners the resistance on the Santander Cycles doesn’t go anywhere near as high as a spin bike!) I was actually amazed how fast I could pedal on the bike – good to know if I’m ever in a hurry. After 45 minutes of spinning, sweating and ringing our bells (yes the bikes come complete with old school bicycle bells!) we headed inside to be guided through a much needed Yoga Stretch class with my favourite yogi Cat Meffan (she’s a true inspiration, I highly recommend you check out her yoga videos) which has definitely helped with what could have been some pretty intense leg DOMS this morning after the cycle. It was then outside again to enjoy the gardens and of course the company over a delicious BBQ lunch high above the Kensington commuters below, as well as healthy treats from Oppo ice cream and Press London. The presentation on my plate could have definitely been better here I know – but after the sweaty spin and restoring yoga practice I really did have refuelling on my mind – and the Kensington Roof Garden catering did not disappoint. 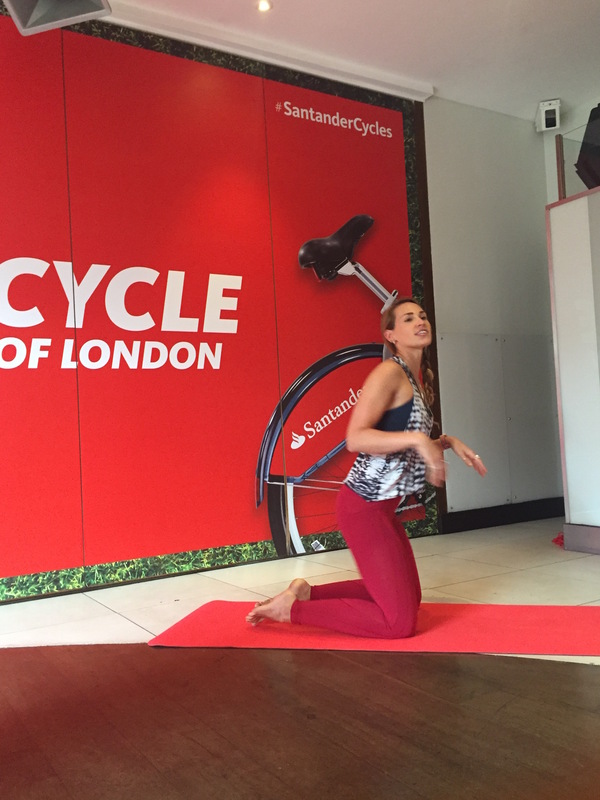 So the next time you need to dash across London in a hurry, pick yourself up a #SantanderCycle – you can easily locate your nearest docking station via the website, then quite literally hop on your bike. And now knowing how fast these bikes can go, there’s really no excuse to ever be late in London again!